The City of Ellsworth is about to deck the halls in style this Christmas! Several months ago, a committee made up of local business and organizations got together and decided to make this season one of the best ever in Ellsworth! As always, some of our favorite community activities will be going on along with a few more that are sure to put everyone in the holiday spirit. We hope that everyone will get out and enjoy everything that makes both our area and the season magical. The Holiday Marketplace shops open November 16 and will open be Thursdays through Sundays at J & B Atlantic building. Nov. 24- Small Business Saturday. Tree Lighting at SK Park at 4pm. Dec. 1 – Downtown Christmas Parade. Santa on Main St.. Poinsettia Ball. 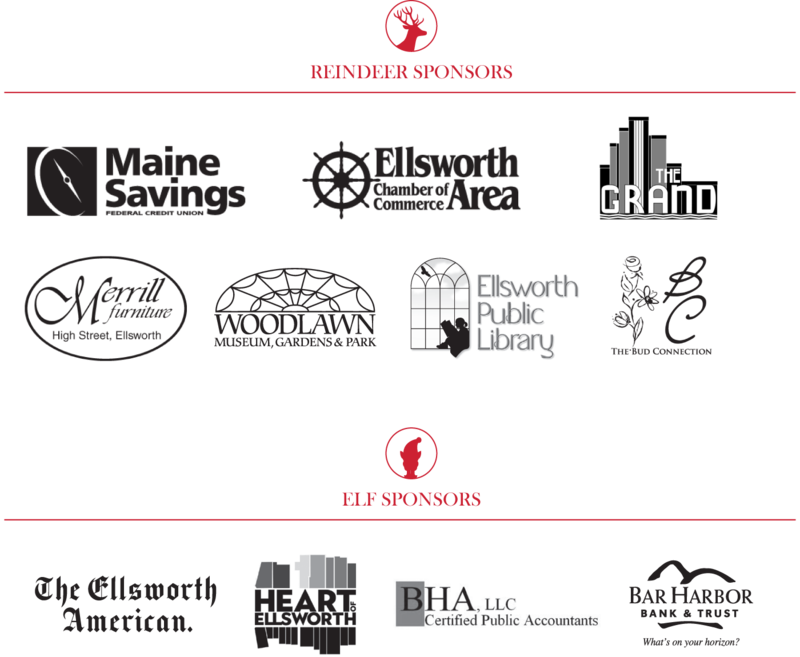 December 6 – Heart of Ellsworth Party at the Pop-ups 5pm. December 7 -9 – A Charlie Brown Christmas at The Grand. Dec. 9 – Wreaths Across America at the Maine Coast Mall. December 14 – 16 & 21 & 22 – A Musical Christmas Carol at The Grand. Dec. 14 – Ugly Sweater Day. The Christmas Carol at The Grand. Midnight madness. Dec. 15 – Storytime with Santa at the library and make and take craft for kids from 10-12. All kids in attendance will receive a free book, while supplies last. Santa at the Holiday Marketplace 12-2pm. Dec. 22 – Community Christmas caroling led by Grand cast members. Last minute shop and dine specials.